Longmont, CO & Brevard, NC. 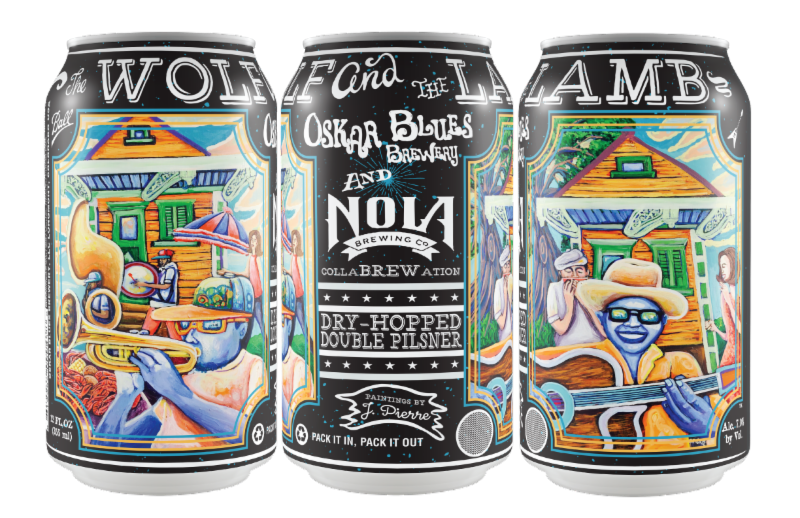 - Oskar Blues Brewery and NOLA Brewing teamed up to create a limited release collaBREWation in honor of the historic New Orleans Jazz Fest. 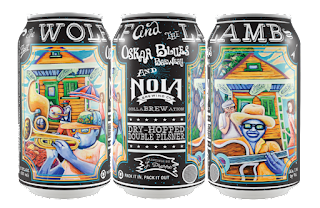 Oskar Blues and NOLA Brewing share a mutual love of music and wanted to create something that embodied the people, passion, and spirit of Jazz Fest. Part of the project was to engage a local artist to create custom artwork for the can. J. Pierre is a legendary Louisiana artist whose work has been featured in Essence Magazine, HBO's Treme, House of Deréon, and in the Mayor of Louisiana's office. J. Pierre utilizes his strong command over mediums such as oil, acrylic, pen, ink, aerosol, and house paint to create a print as vibrant and soulful as the Louisiana culture. NOLA Brewing Company, a craft brewery founded in 2008 in New Orleans, makes high quality beers for every palate, from the craft beer neophyte to the aficionado. With each beer we brew, our hope is that it lives up to the standards of the city we call home - no small task. Our brewing philosophy is simple: we brew beers that we want to drink, using the best ingredients available. NOLA Brewing was conceived in the aftermath of Hurricane Katrina when the number of commercial brewers in New Orleans was zero. Now years later, we're proud to have played a part in the development of what has become a formidable local craft brewing industry. NOLA Brewing is located at 3001 Tchoupitoulas Street and online at nolabrewing.com, and on Facebook.com/NOLABrewing and is @NOLABrewing on Instagram and Twitter.